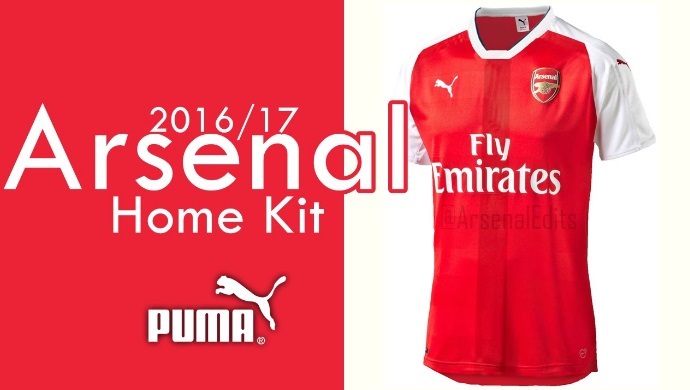 New Puma Arsenal 2016-17 home kit will get inspirational look from the Arsenal’s 90s kit desgins. Puma will continue to use iconic red as the main colour with white application in the next season kit but they won’t be any gold application used in the 2015-16 home kit. The new home kit will come in iconic “high risk red” colour with combination of white colour used across the shirt. The shorts for new Arsenal kit will be white. The biggest difference will be the “faded graphic design” just like the 90s Arsenal kits. Arsenal 90s kits used to have that faded graphic on the front of the kit. Its not sure what kind of graphic design Puma will use in the upcoming season home kit but here are couple of examples from 90s home kits. As far as the away kit is concerned Puma will use what they call “spectra yellow” as the main colour with dark grey/almost black application across the kit. While the shorts will match the shirt application in dark grey colour. Arsenal away kit will be traditional yellow with dark grey application but its remain to be seen whether any graphic design (like new home kit) will be used on the front or not. 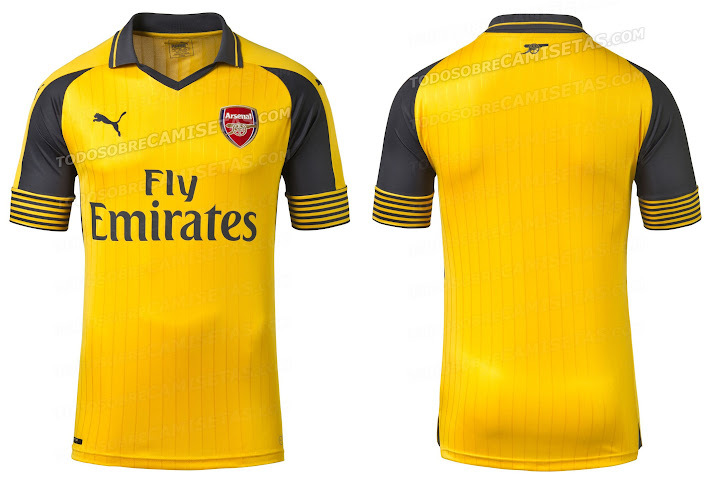 Dark grey shorts and yellow socks will complete the striking new look of Arsenal’s away kit. Arsenal third kit details has also been leaked and it will come in navy blue as primary colour with fluorescent yellow used as application on the collar and sides of the kit. 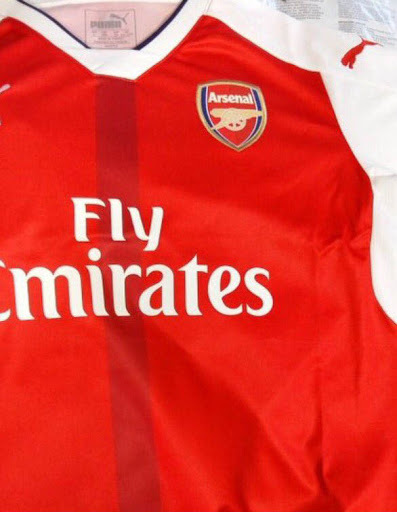 We will keep you updated once the actual Arsenal’kits are leaked and released later in the year. What you think of the new design leaks ? 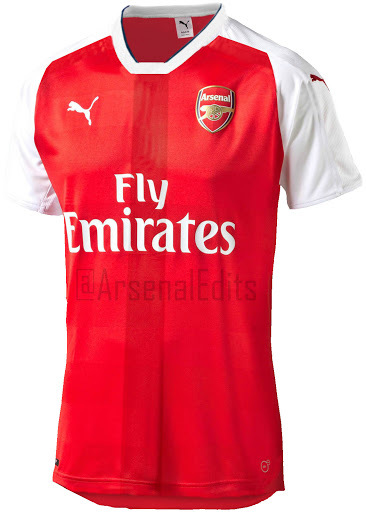 Or you want to see something different for Arsenal’s next season kits ? let us know by commenting below.